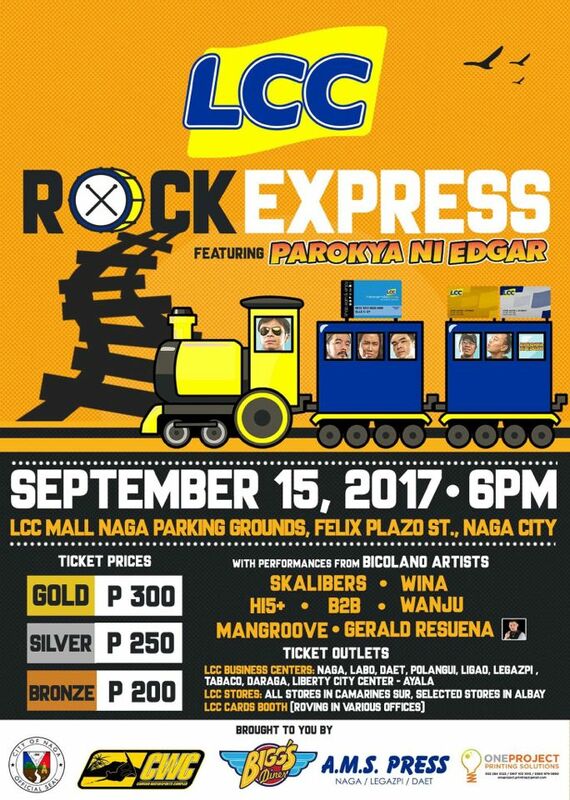 Catch LCC Rock Express this SEPTEMBER 15 at LCC Naga Parking Grounds featuring PAROKYA NI EDGAR with performances from Bicolano artists: SKALIBERS, Wina, Wanju, HI5+, B2B, Mangroove, Gerald Resuna! 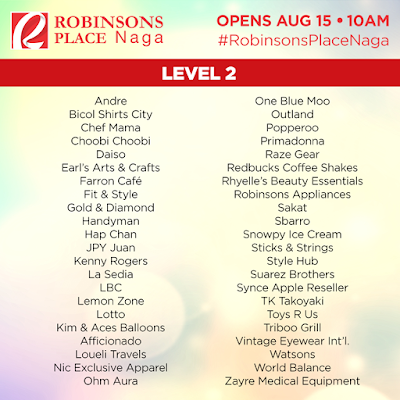 Tickets are available at selected LCC Stores! See you! Buy Rock Express Ticket with FREE Rewards Plus Card!! TO ALL CYCLISTS AROUND BICOL! WELCOMING OUR LADY OF PEÑAFRANCIA CELEBRATION! 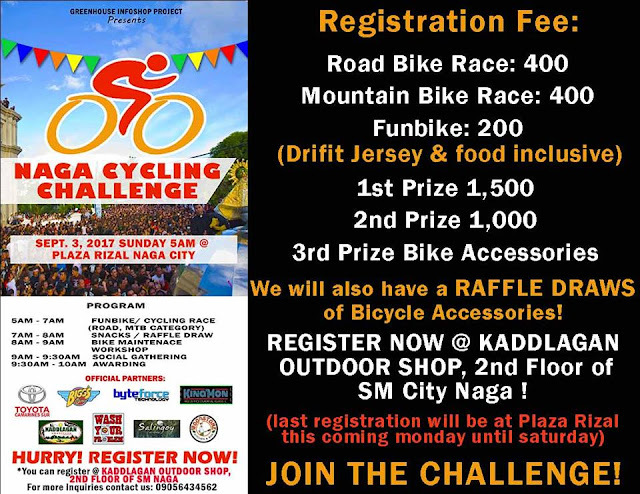 Inviting all Cyclists around Bicol Region! 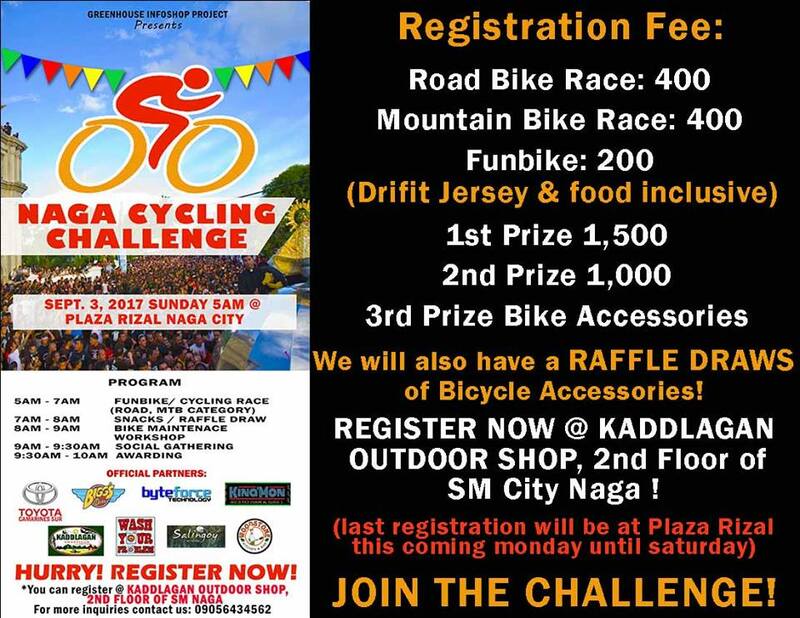 Come and Join the "NAGA CYCLING CHALLENGE 2017" happening on Sept. 3, 2017 , Sunday, 5AM at Plaza Rizal Naga City. 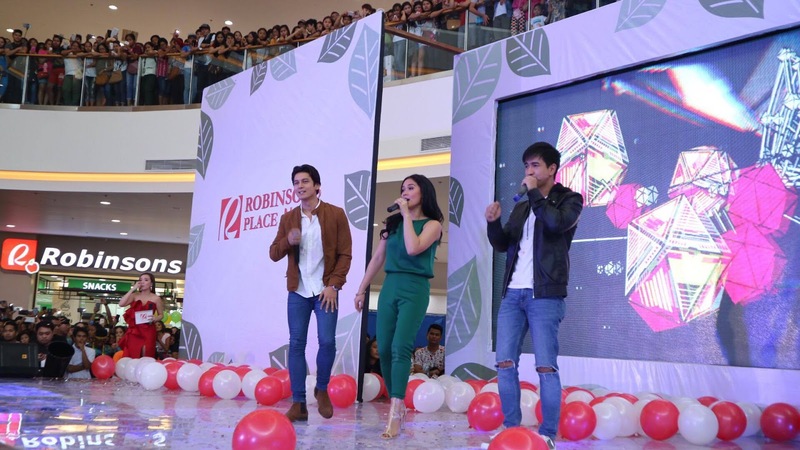 The event is an advocacy to promote bicycle as a transportation and health and wellness of Bicolanos. 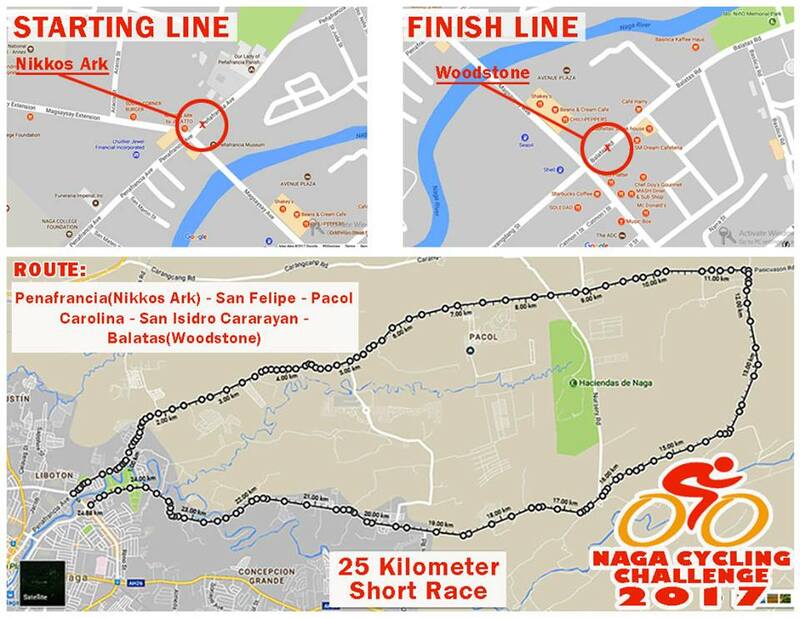 There will a 28 kilometer short Race and Funbike. 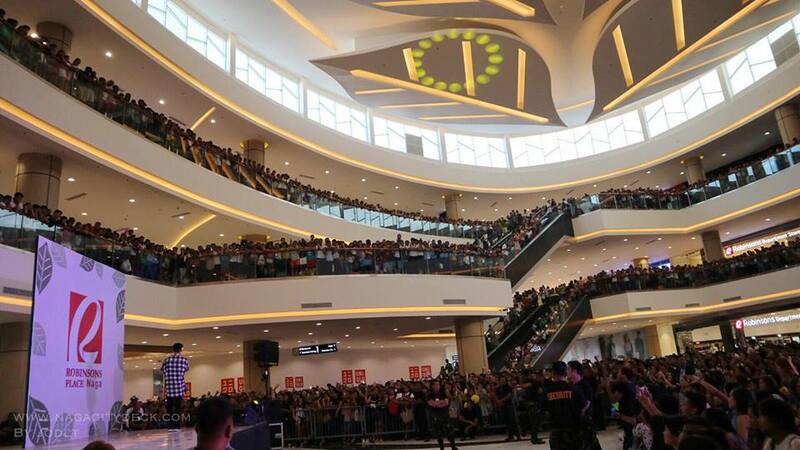 2nd floor of SM City Naga. Prizes for the racing winners will be updated! *THE FIRST 100 REGISTRANT WILL HAVE A BIGG'S MEAL! 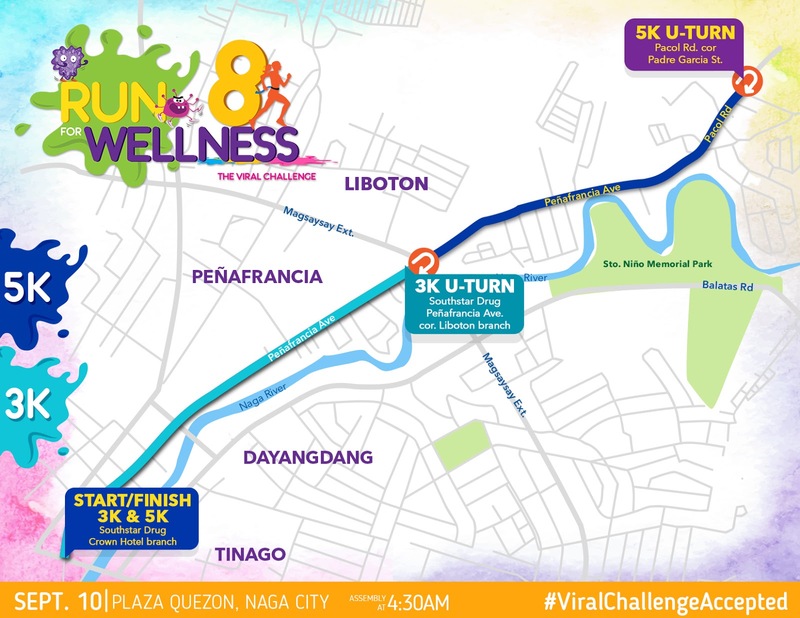 Naga City - Southstar Drug celebrates 80 years with Run for Wellness 8: The Viral Challenge which is now on the 8th installment! 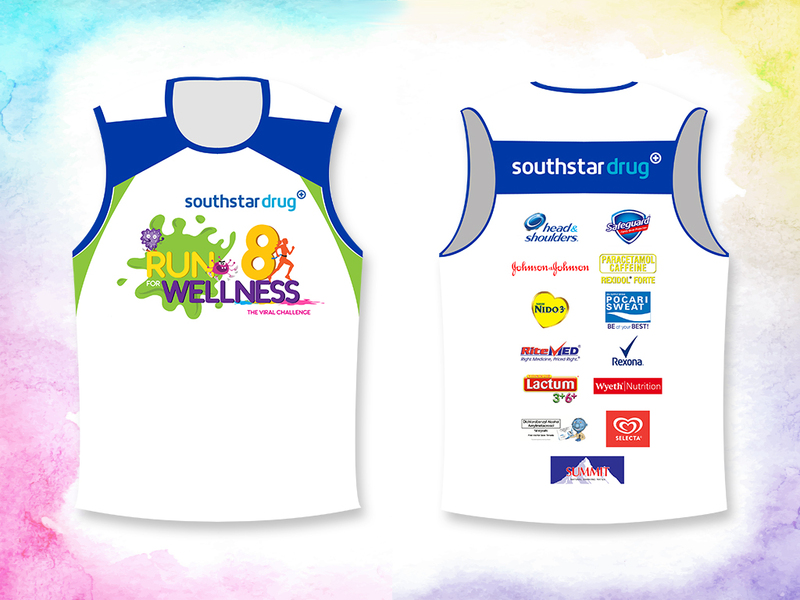 Register for 3k or 5k in select Southstar Drug branches in Bicol and get 10% off until August 31, 2017. Run for Wellness 8 will be held at Plaza Quezon in Naga City on September 10. 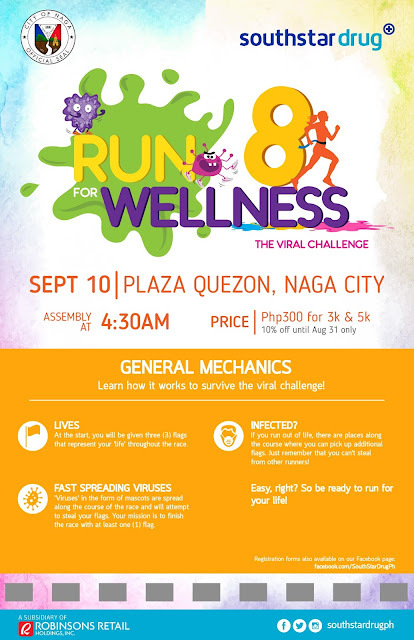 The Viral Challenge is a fun run event where participants need to save their “lives” from viruses that will attempt to steal their lives as they run to finish their chosen course. At the start of the race, participants will be given a belt with 3 flags attached to it representing their health. These flags are what the viruses will try to steal from the participants during the race. Runners who finish their course the fastest and with “lives” to spare shall win the race. Finally! 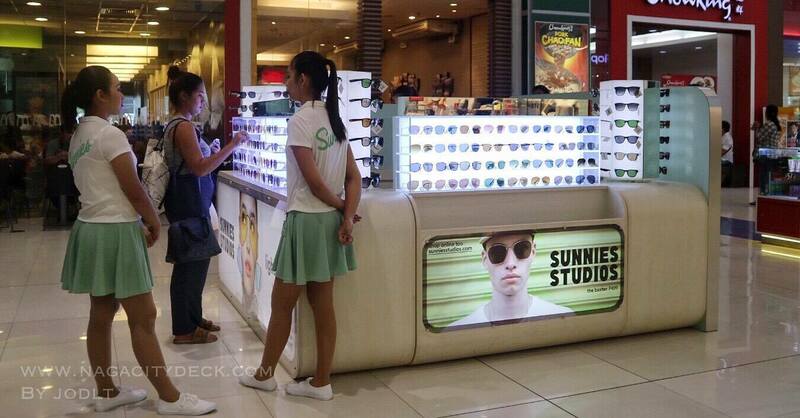 One of my favorite brands of sunglasses, Sunnies Studios is now in Naga City, readily available at SM City Naga! 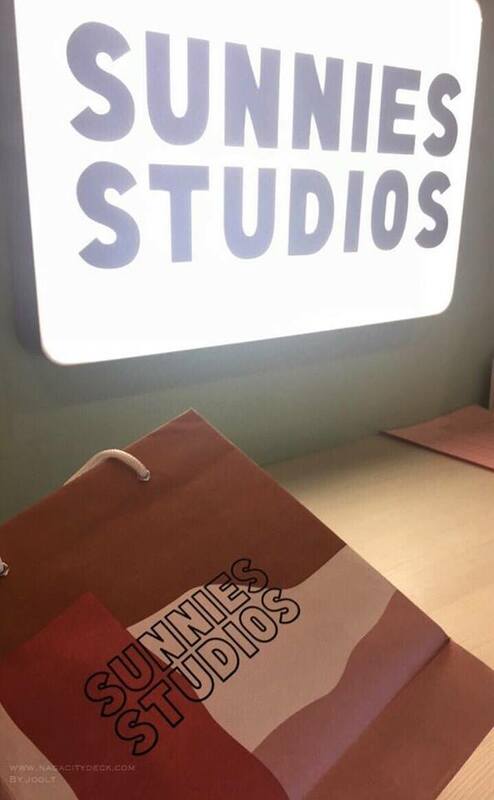 Before, I kept on saying that finally "Sunnies Studios is now in Bicol" because last summer Soleil in Ayala Malls Legazpi carried the brand and now it's finally here in Maogmang Lugar. Sunnies Studios is not too expensive but neither too cheap. 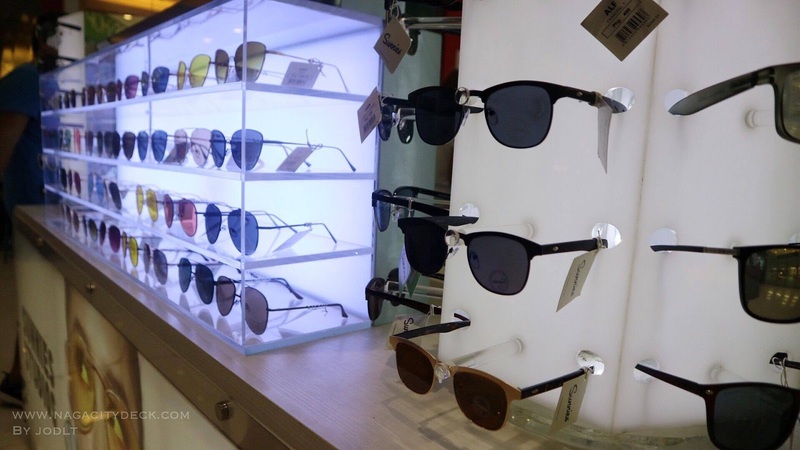 You'll get to choose from rugged to sassy designs and frames that would complement your face shape. Sunnies Studios regularly releases new designs and most often than not, it's always something to look forward to. 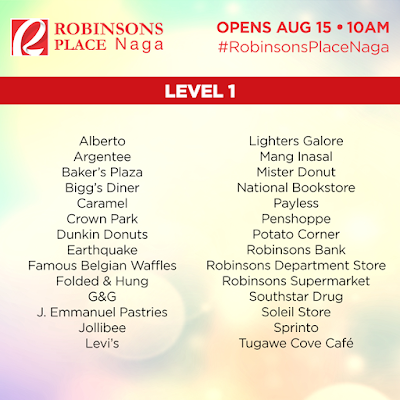 I hope the branch here in Naga would also have the loyalty card soon. And just like that, I and my sister bought another pair. 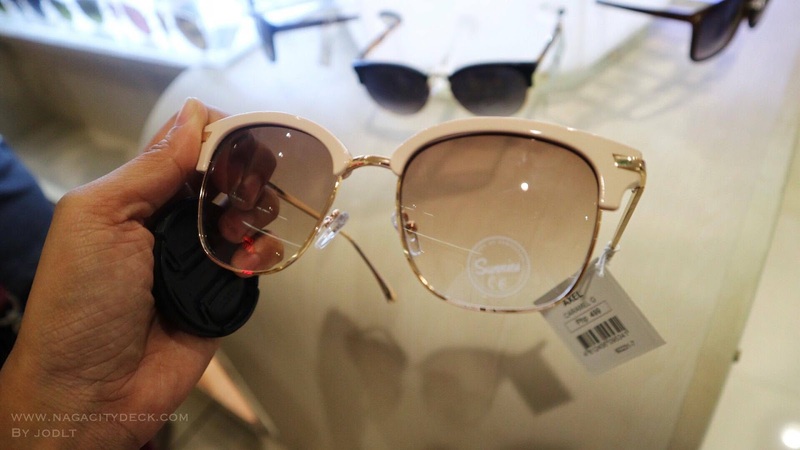 These Sunnies are just so tempting! 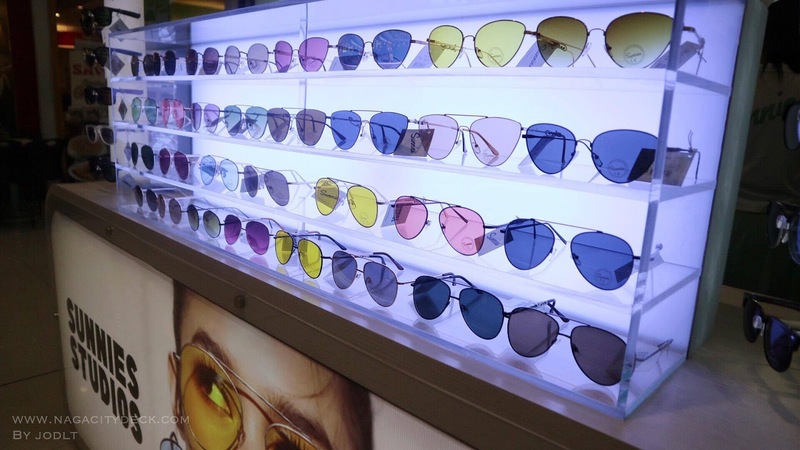 Indeed it's our go-to sunglasses store. How may Sunnies do I have now? Naga City - One of the Best of Bicol brands, Bigg's Diner has opened their 16th branch at the newest mall at the Heart of Bicol, Robinsons Place Naga. 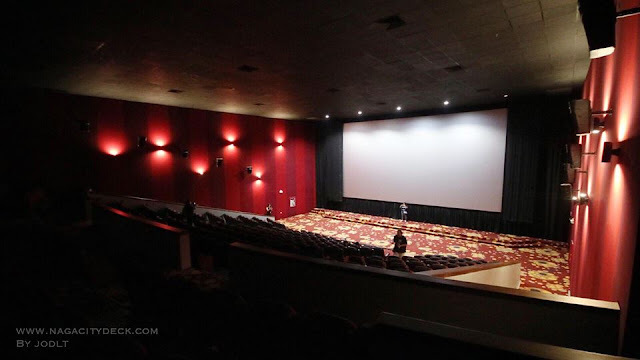 Though this may be the 16th branch, I really miss the old Advent Branch and the branch at the second floor of the now South Star Drug along Gen. Luna Street. Talking about memories, restaurants become memorable because of the place itself. 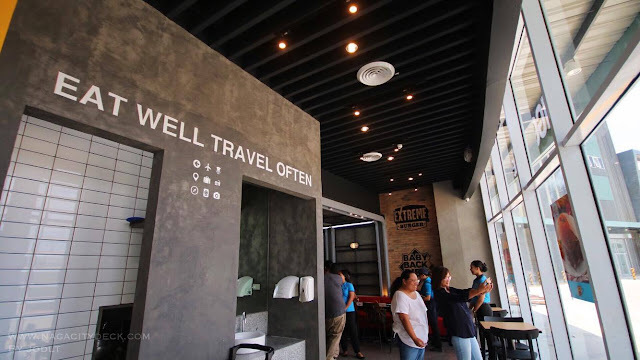 When you also have friends, relatives and batchmates coming home for a vacation in Naga, "Bigg's parin ang hinahanap hinahanap" when it comes to local restaurants. 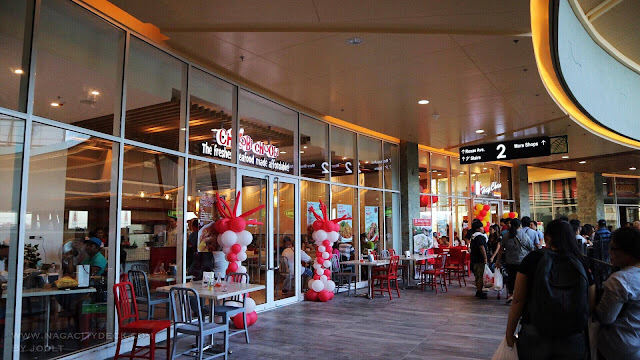 Even though I have been featuring many new concepts and new restaurants here on my blog, I usually ask them, "Why still Bigg's?". 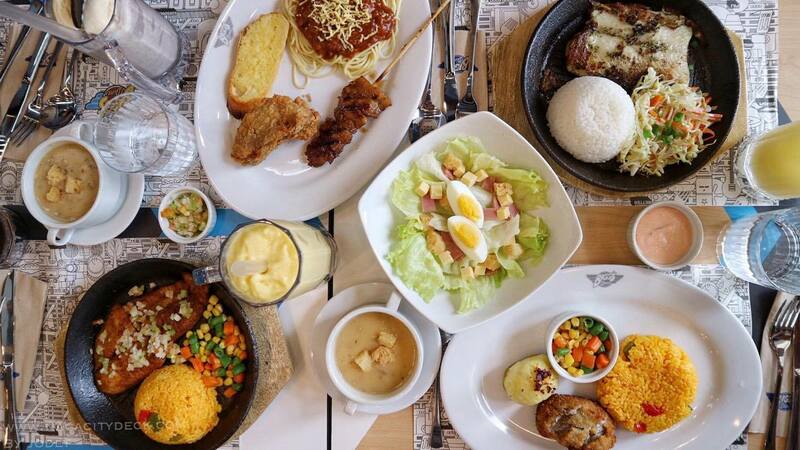 My friends and relatives can't give me a definite answer as to why, but I guess our palates will always look for the local flavors of home, the memories with our barkadas during lunch/night outs and the likes is irreplaceable. 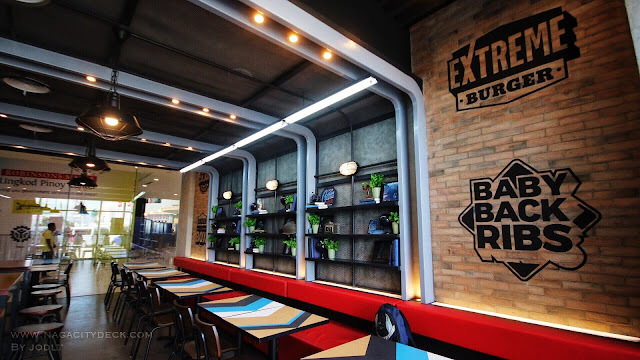 There might be other personal answers as to why we go back to our local favorites, it's like, "basta, hirap explain, basta Bigg's parin". 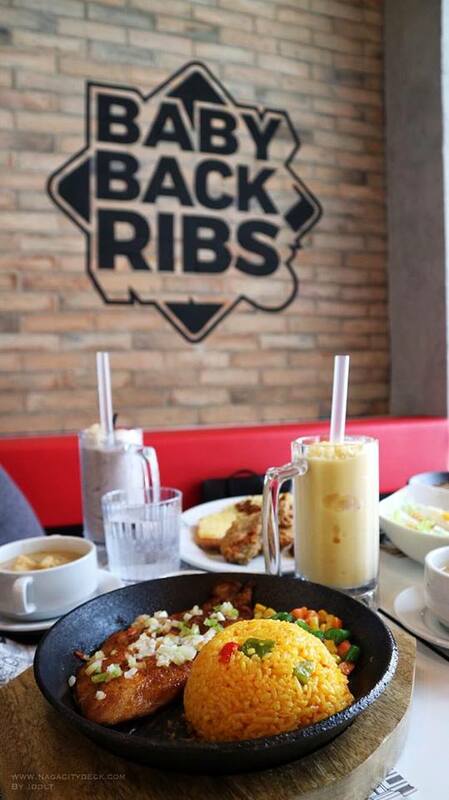 I'm sure you also have your Bigg's Diner favorites and even I have the tendency to order the same kind of food every single time I dine at Bigg's. My usual? 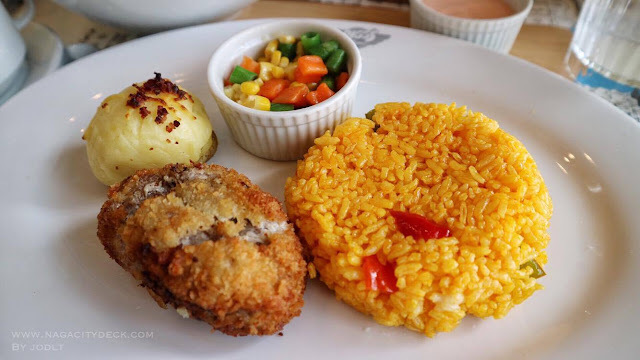 Cordon Bleu, been addicted to their Beef Salpicao lately or perhaps the Tenderloin Tips, Goto, or Bigg Deal and yes Cordon Bleu again haha. 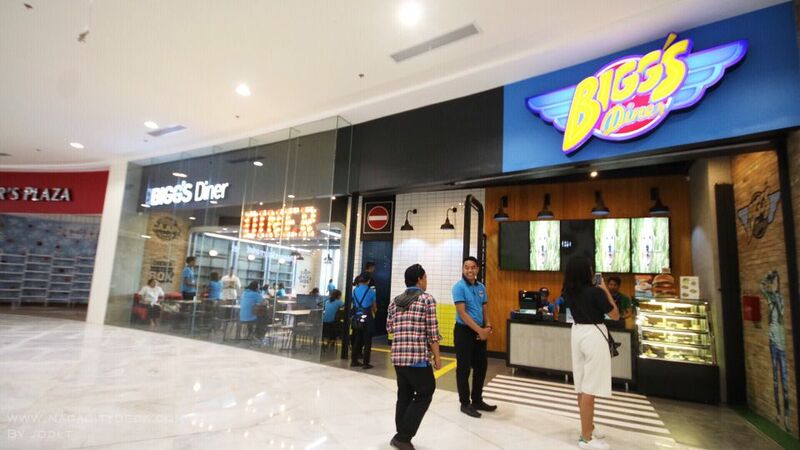 Here's the latest Bigg's Diner store at the Ground Level of Robinsons Place Naga. Yet again, Bigg's never fails to impress us with their interiors. 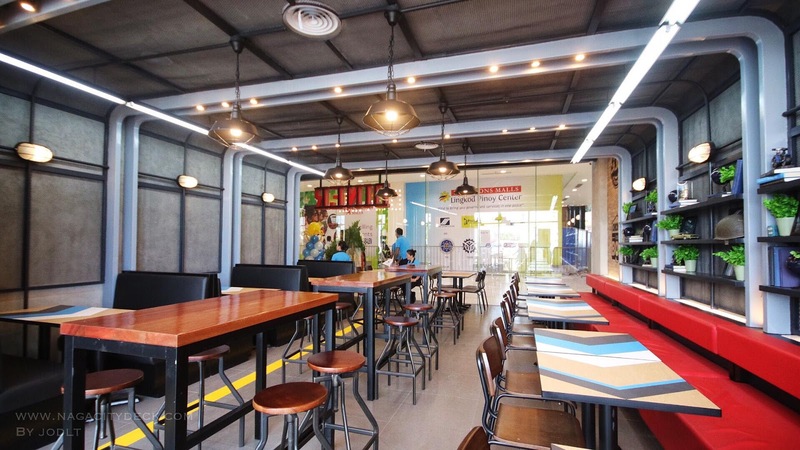 This area at the back is a perfect place for foodies and oh even your selfies will look great because of the natural lighting. During noon don't you worry because there are blinds that you can pull down to at least lessen the humidity. Hello climate change! The store, prior to the opening day. 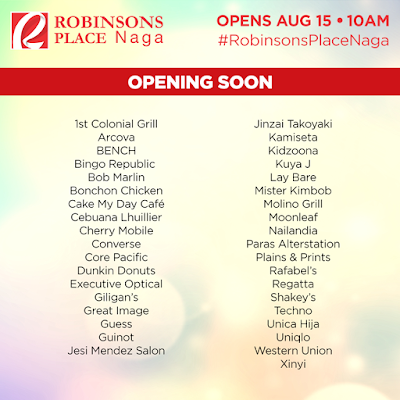 Congrats again Bigg's for your new branch at Robinsons Place Naga! A clean skin is a source of self-confidence. When I started working, I became conscious of how I look. To look professional and neat is important in my line of work since I'm always in front of students. I did not wish to have a white skin, I love my color the way it is. All I needed is to maintain its cleanliness and free from blemishes for as long as I can. I'm already 32 and not getting any younger. When it comes to face and skin, we should never settle for anything less. It's not being sassy or being to choosy, but when you buy low priced cosmetics and skin products, you are obviously at risk. At risk of what? Of spending a few more thousands than you should especially if something goes wrong with your face as it gets irritated. All you got to do is proper budgeting for your "abubot" right? I see to it that I use the proper products that would complement my skin color. 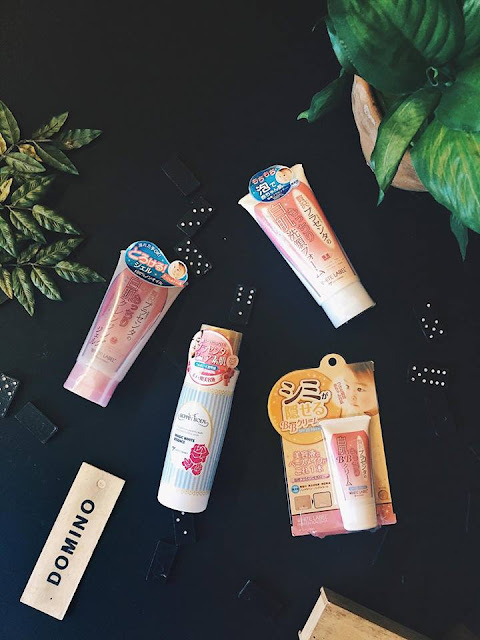 I'm may not be a an expert beauty blogger but as a lifestyle and travel blogger and like any other working girls, I am always on the lookout for good beauty products. I normally use branded ones. Again it's not being choosy, I mean, we get what we pay for. I'm a fan of Revlon for lippies. Sometimes I get to realize that it is an American brand and do they really know if their products would complement Asian skin types, lips, faces etc? I believe they also do but how much of it does it enhance our beauty? 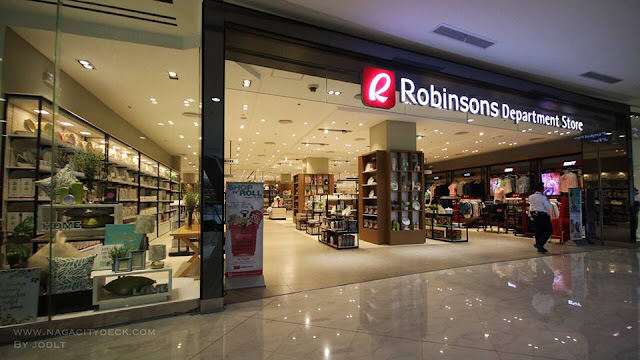 Asian brands for Asians. I recently tried Japanese products from www.dbeauteebox.com.ph and to be honest this is my first time to use Japan made beauty products. D'Beauteebox.com is located along J. Miranda Avenue, fronting Bicol Science Centrum. They offer a line of Japanese skin, hair, eye, and body products which are readily available at their physical store or you can also purchase online through their website. Let's start with this White Label Premium Placenta BB Cream. There are a lot of BB creams in the market and I'm tried so many too. Again, the ones that costs cheaper is a no go for me as I always feel skin irritation. 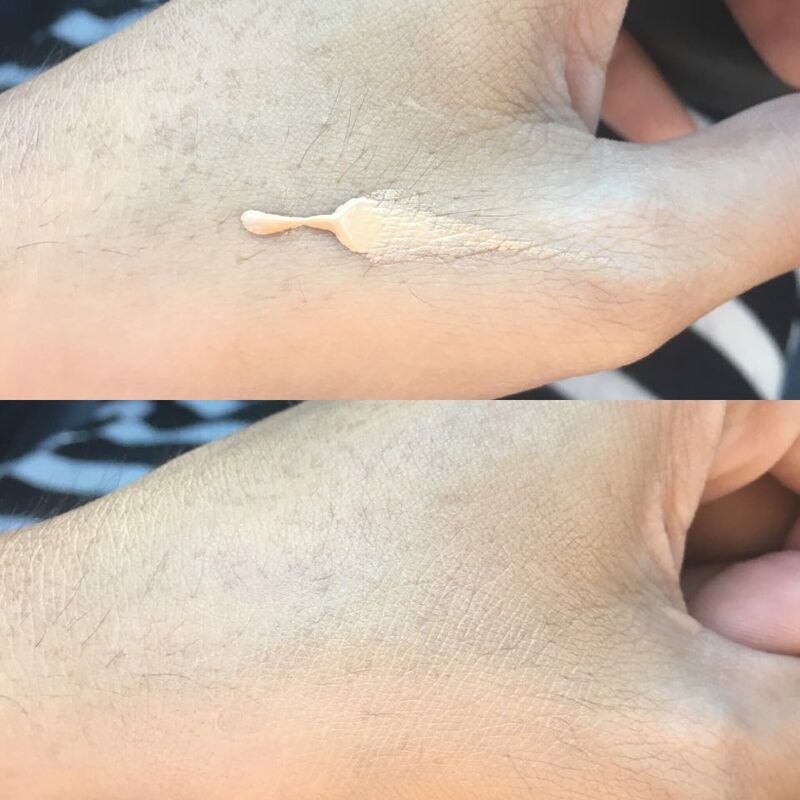 This BB Cream from D'Beauteebox.com works like magic. I hate BB creams which changes the entire color of your face but this BB cream really complements my skin color. 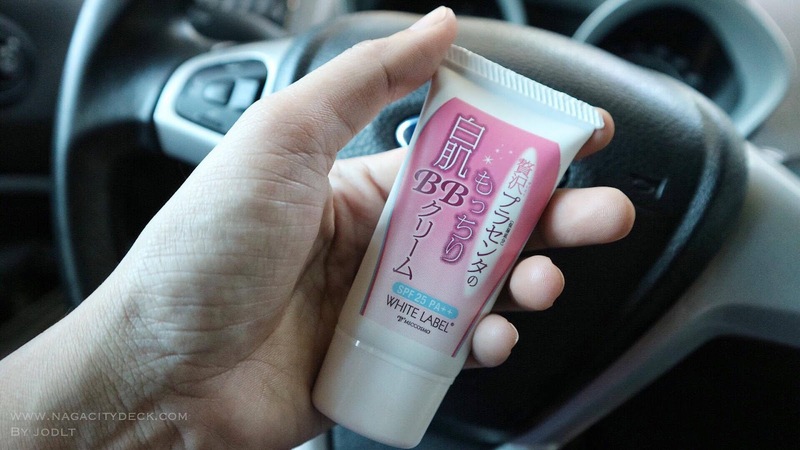 It has 6-in-1 beauty balm which you cannot find in other BB creams out there. I'll tell you a little secret, I usually do my ritual inside the car (parked outside my office). I like the natural light better when putting my makeup on haha. And yep, I have enough time before 8am. It contains placenta extract serum which whitens and nourishes the skin; SPF 25 for sun protection; hyaluronic acid and collagen for skin moisturizing and elasticity. It covers up and treats blemishes and skin imperfections such as dark spots and freckles. It is waterproof and stays on your skin longer. Recommended for sensitive skin. 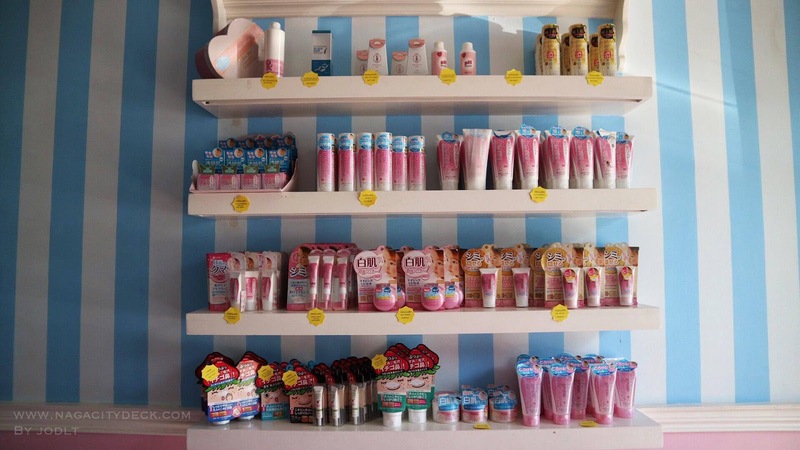 Contains no additives such as artificial colorings, fragrances, mineral oils, and parabens. AVAILABLE IN 2 SHADES: Natural Beige and Ochre. Squeeze a pea-sized amount of WHITE LABEL® Premium Placenta BB Cream onto your fingertips and gently spread it to your entire face. To prevent smudges, spread the cream as thinly as possible. Layer the BB Cream on blemishes and under eye circles with a gentle tapping motion, and spread evenly. For extra coverage, you may apply another thin layer of BB Cream after it dries. Apply face powder if prefered. WHITE LABEL® Premium Placenta BB Cream is safe to use everyday, and can be easily cleaned off with a cleanser or makeup remover. The BB cream really stays longer on your face, I don't even have to put powder on my face from time to time. Makes me focus on my work instead of doing some retouching again. 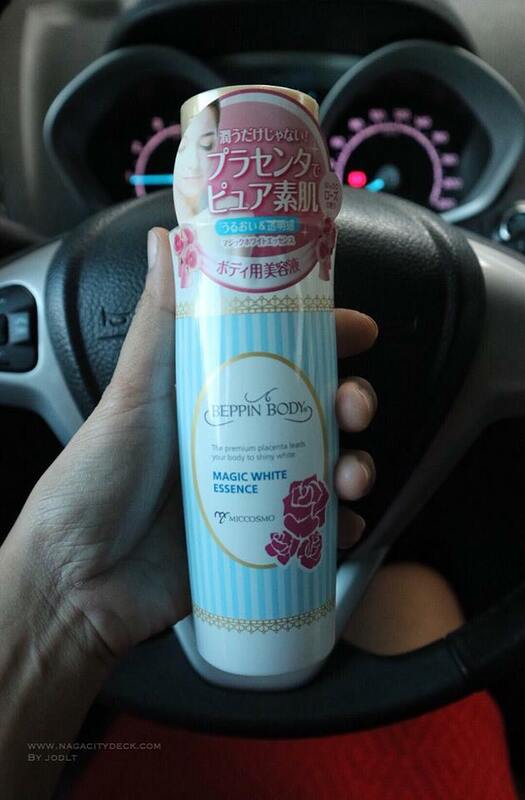 BEPPIN BODY Magic White Essence Skin Whitening Body Lotion is a luxurious, creamy, non-greasy, skin-whitening body lotion which quickly absorbs into your skin, giving you a more youthful, bright, glowing skin. It contains placenta extract to renew/regenerate your sun-damaged skin. The moisturizing agents, such as aloe vera and soy isoflavone, smoothen the rough skin after shaving. Enjoy its soft scent of rose. With no additives such as colorings, paraben and mineral oils, it is gentle on sensitive skin. After taking a bath or shower, place an appropriate amount of BEPPIN BODY Magic White Essence Body Lotion onto your palm, massage gently onto body, arms and legs. Apply especially on sun-damaged, dry skin or rough areas such as elbows and knees. Next is the White Label Premium Placenta Facial Foam. I really love how it leaves your skin after the wash. To be honest this is the first time I have tried a facial foam that does have that strong and acidic feel on your skin. I use this every morning and at noon. WHITE LABEL® Premium Placenta Facial Foam (P559) gently caresses skin with a silky foam that completely removes deep-seated dirt and excess oil without stripping the skin’s moisture. Pigment-causing melanin is trapped and removed with every wash to reveal clearer, more radiant and moisturized skin. 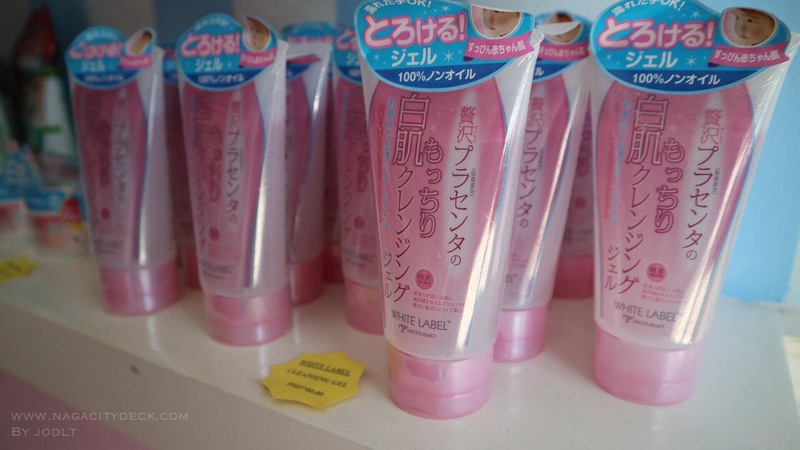 It contains placenta extract for skin whitening and renewal. It has no additives such as fragrances, coloring, parabens, or mineral oils and can be safely used even on the most sensitive skin. Wet face with water. Put a small amount of WHITE LABEL® Premium Placenta Facial Foam onto your palm and rub to create lather. Use a foam net if preferred. Massage onto face and neck. Rinse thoroughly with water. 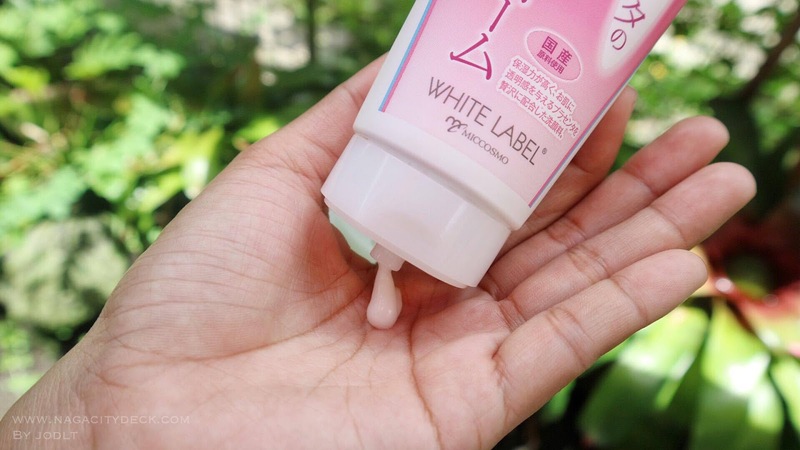 For best results, wash at least twice a day and follow with WHITE LABEL® Premium Placenta Essence/Toner. The last product is the White Label Premium Placenta Cleansing Gel which I absolutely adore! Before sleeping it's but important to remove your makeup ladies. This clear cleansing gel does the magic in removing all your makeup after a days work. Bare it all when you sleep, give your face a rest at night. Remove stubborn dirt and make up in no time! Highly recommended for sensitive skin. Safe to use even on eyelash extensions. The gel contains beauty agents; placenta extract for skin brightening, hyaluronic acid for firmness and collagen (anti-aging). It removes skin's dirt and excess oil while keeping your skin soft as a baby's skin! To remove make up, gently massage an appropriate amount of gel in circular motion to blend the gel with your makeup.Rinse off with cold or warm water. 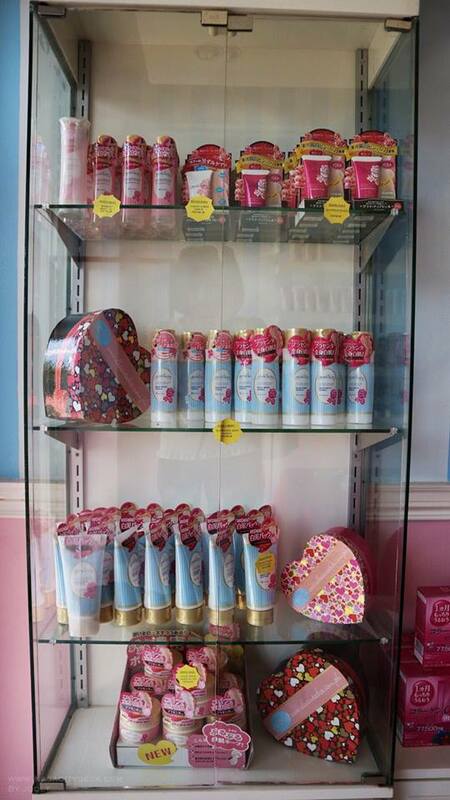 They also have a lot of other products for your hair, eye and skin. For those who are looking for a good whitening regimen, this is the place to be. As we all know, when it's made in Japan, it's close to perfection. Bring back that baby skin! Thank you D'Beauteebox.com for letting me experience this one of a kind product. It's true that you should never judge a product until you have tried them. I'm looking forward for good results after a month or so of using your amazing products! Will be updating you guys soon on how everything will turn out. 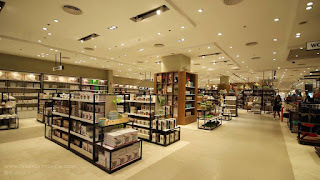 In the meantime, you can check out their website for other products and D'Beauteebox.com will be opening a stall at the third level of Robinsons Place Naga soon! 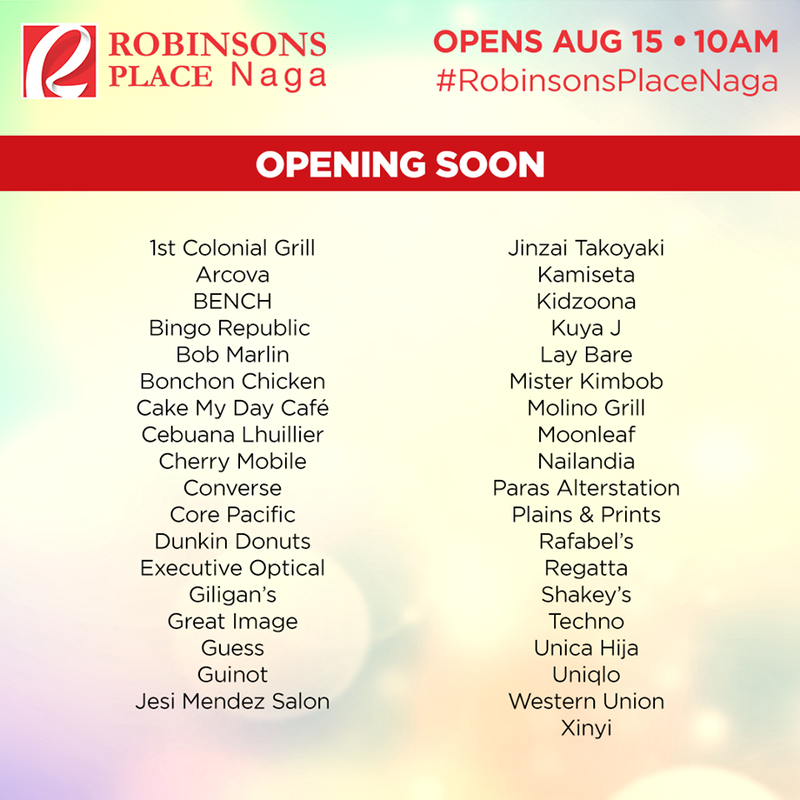 So stay tuned for the opening so that you may check out the products for yourself and who knows there might be promos on the opening day. And oh, check out their store at J. Miranda, they sometimes have products on sale too! 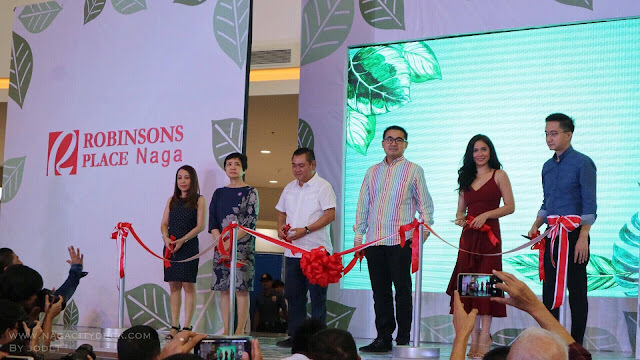 Naga City, Bicol - Robinsons Place Naga opened its doors to Bicolanos last August 15, 2017 and is probably the most iconic landmark to date in Maogmang Lugar for travelers on the road coming to and from Manila. 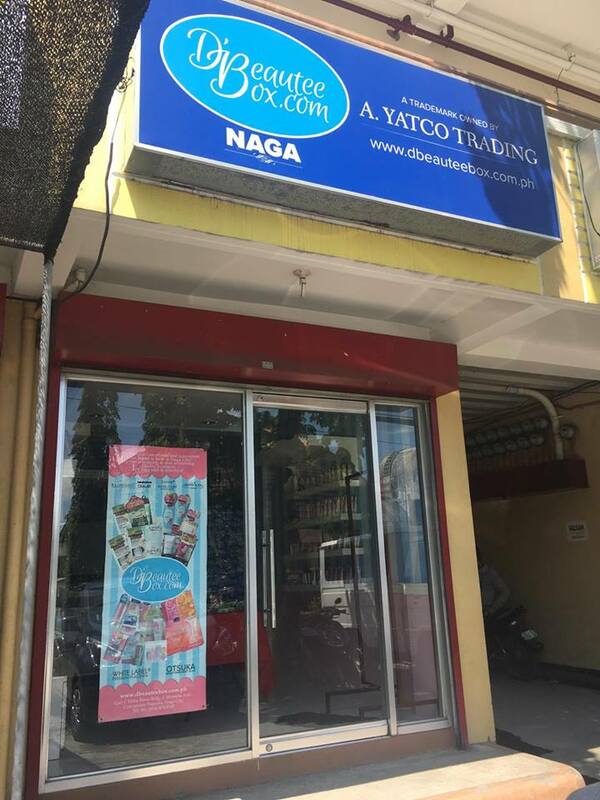 Located along Roxas Avenue, corner Almeda HIghway in Brgy. 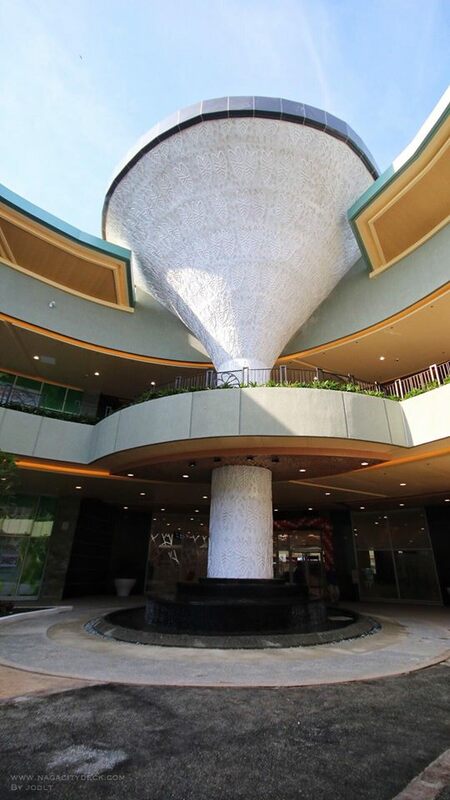 Triangulo, the complex is a head-turner and has an imposing structure that adds to the cosmopolitan living of Naguenos. 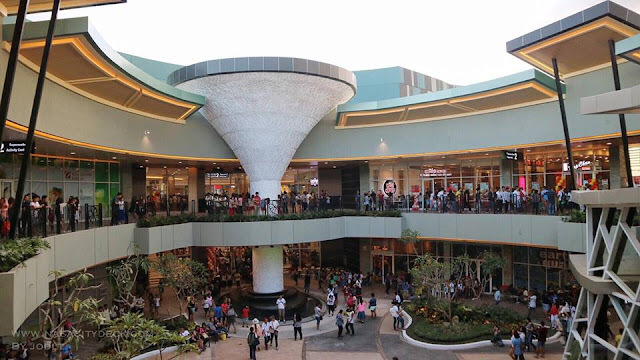 The mall is easily accessible from major establishments and institutions in the city as well as the Bicol Central Station. Aside from being Bicol's center of commerce, the city is considered a Pilgrim City. 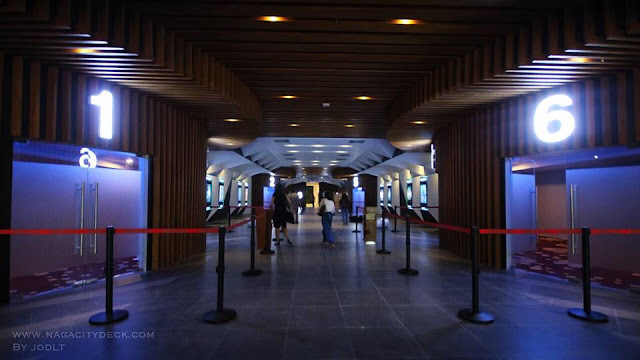 The local's ardent and indescribable devotion to Our Lady of Penafrancia, "Ina", the miraculous wooden statue of the Blessed Virgin, has inspired Marian devotees all over the globe. Due to Ina's countless miracles, millions of devotions, pilgrims, local and foreign tourists alike, flock to the city every third Sunday of September to celebrate the Feast of Our Lady of Penafrancia. 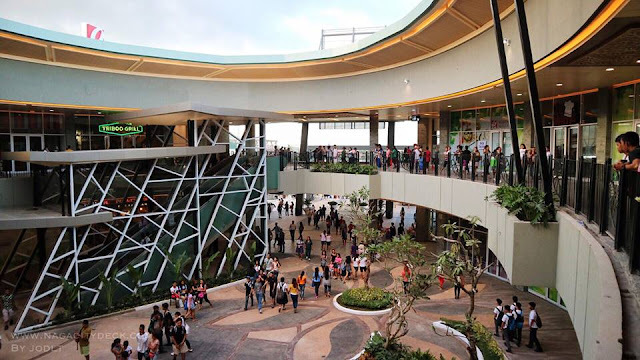 In time for the annual Penafrancia Festival, a new mall rises in the heart of Naga, just around 3 kilometers away from Our Lady of Penafrancia's Basilica Minore. Shoppers can go to and from the mall via jeepney, buses or vans and other means of transportation. 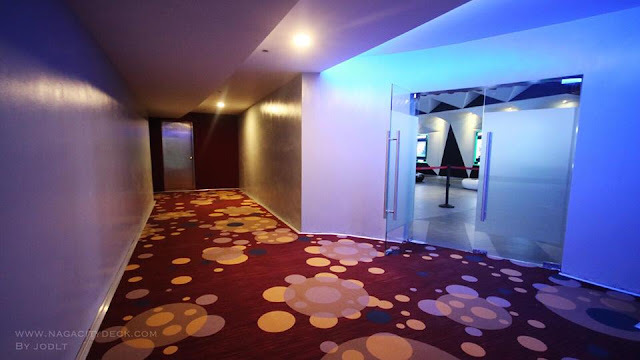 Guests and devotees can also recharge with different options available. There's a wide variety of retail stores, some are even new and firsts in Bicol, plus restaurants and entertainment facilities all at your fingertips. 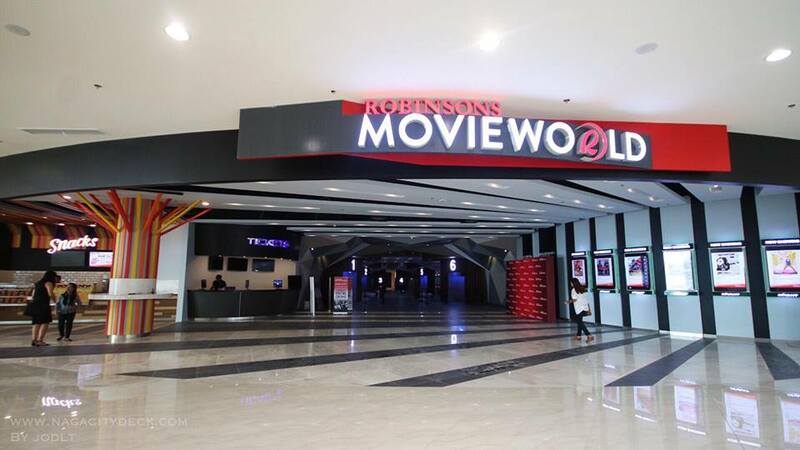 The mixed-use comoplex, comprises of a three-level commercial building annexed to a two-level Robinsons Cyberate Naga Office building (for PEZA Accreditation) and two Robinsons Lands' successful brand hotels-Summit and Go Hotels which are both now under construction. The mall has basement parking and an open parking space for private vehicles. 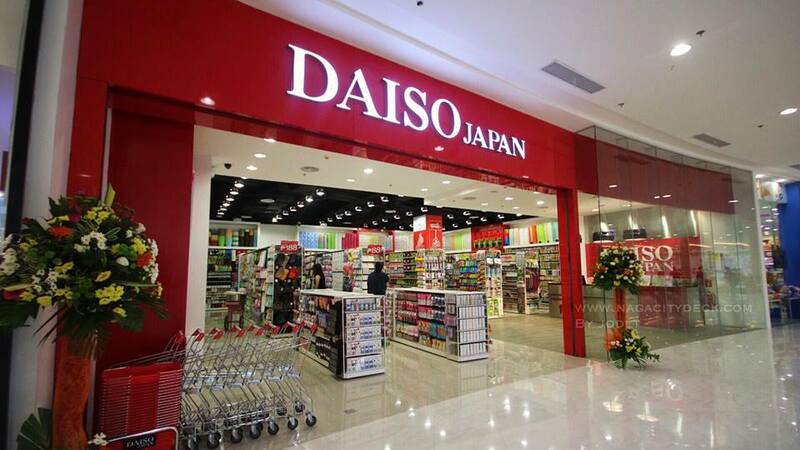 Daiso, Payless Shoesource, Albertos, G&G are just a few of the newest boutiques and one of the firsts in Bicol. Uniqlo perhaps is the most awaited store which will also to open soon along with Guess, Converse, Kamiseta, Bayo, and many others. Robinsons Place Naga pays homage to homegrown brands that have made the newest mall in the city their new home. Some local brands that we have patronized has continued to stepped up their game when it comes to this industry. 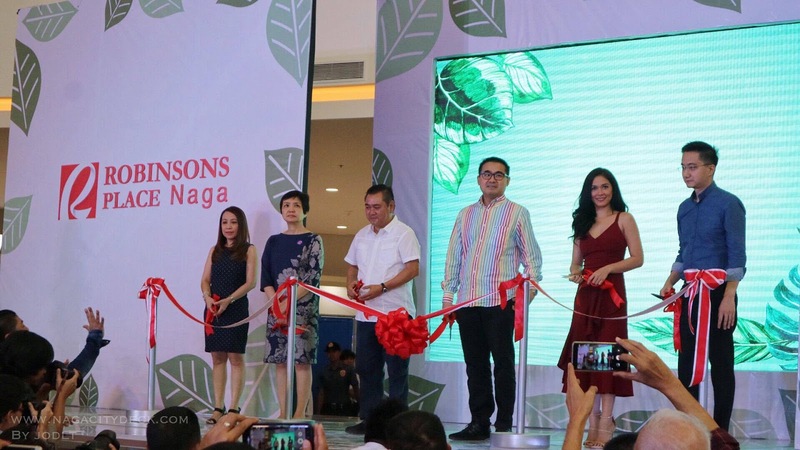 It's such an inspiring feat when Bicolano stores level up and continue to surprise locals with their capacity to go side by side with national brands. 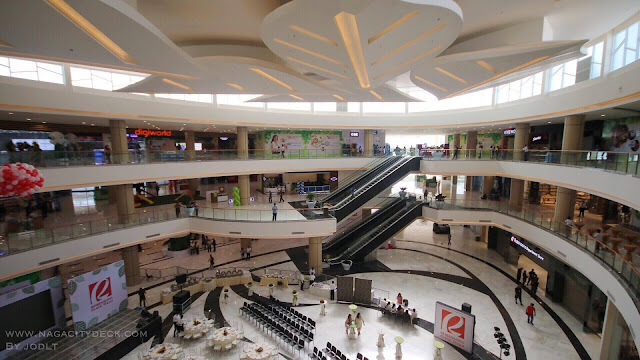 The al fresco area is the most unique part of the mall. 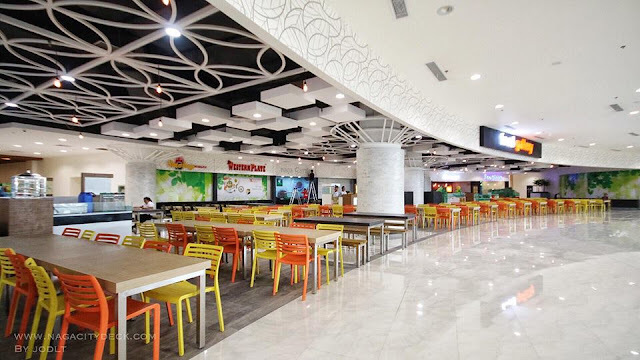 You can hear artificial sounds of bird chirping making the experience more relaxing while you enjoy some of the best local food stops like Bigg's Diner, Triboo Grill etc. 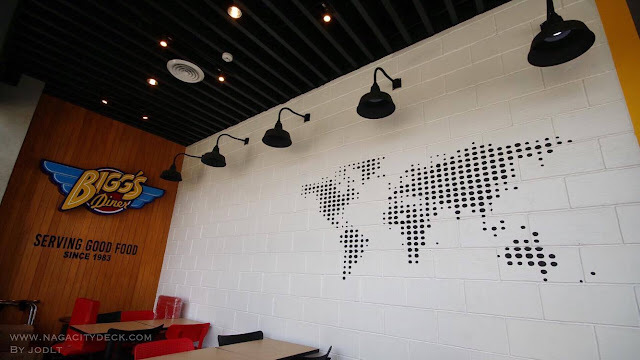 and some known national and internal brands of restaurants. For a wide variety of meal options, check out the 300-seater food court. 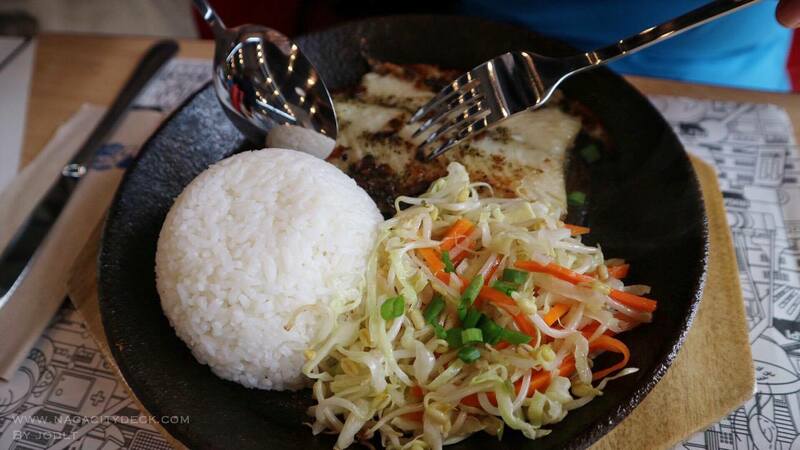 Smokey Minaluto, Naga Garden, Ice Blinker, Western Plate just to name a few, are our local favorites and will surely satisfy your hunger. 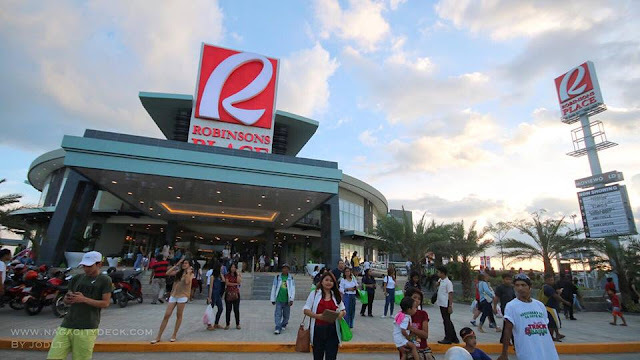 With Robinsons' anchor tenants, such as the Robinsons Department Store, Robinsons, Supermarket, Handyman, and Robinsons Applicance, mixed with more features, this newest mall is surely set to be Naga's favorite hangout place and shopping destination. 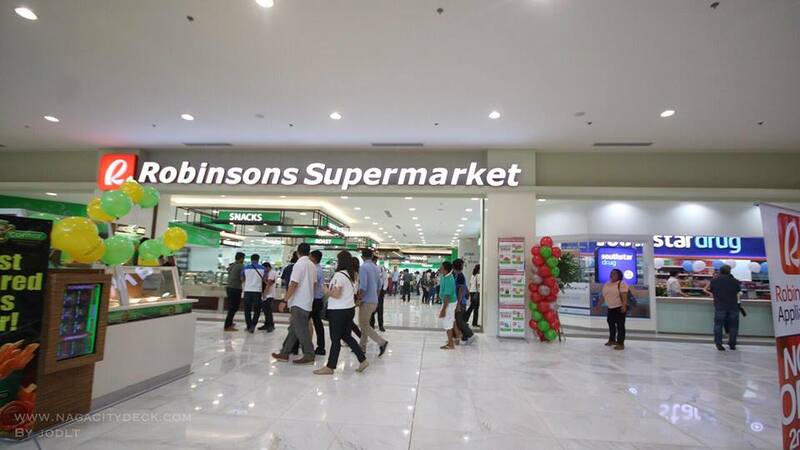 Located inside the Department Stores is also one stop payment center for your basic utilities. Robinsons Land Corporation's newest mall is all about keeping things local. 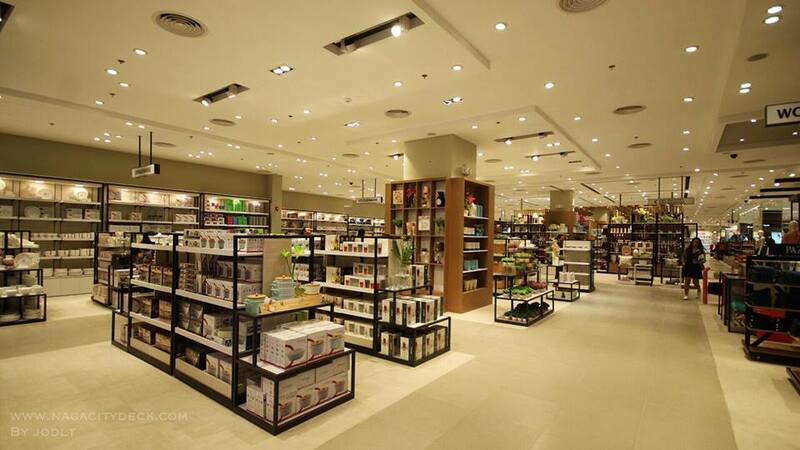 Aside from Bicol brands inside the mall, it's unique and heavily detailed interior uses Bicolandia's iconic gabi and pili nut to complement and promote the rich culture and heritage of the Bicolanos. 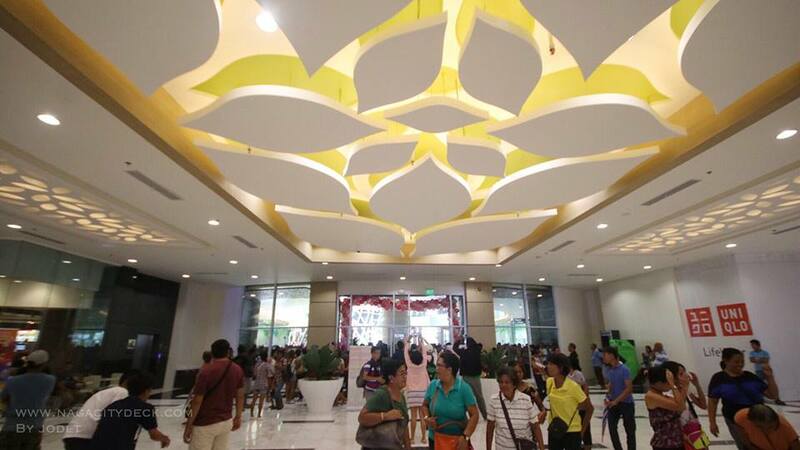 The mall's ceiling features a large, leaf-shaped decor reminiscent of gabi (taro) leaves lit up with green, LED Lights with white lighting that illuminate the grande entrance. 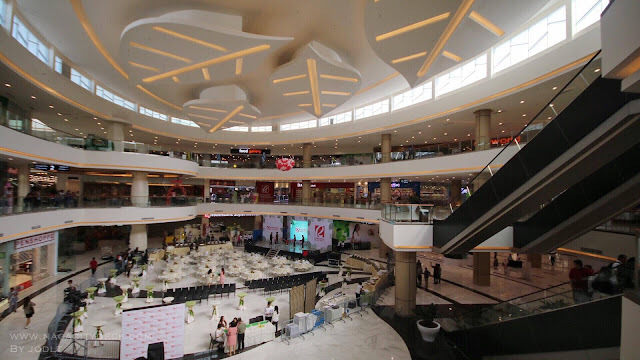 The leaf motif continues to the atrium, whose ceiling also has gargantuan leaf patterns with glowing lights that brighten the activity area. 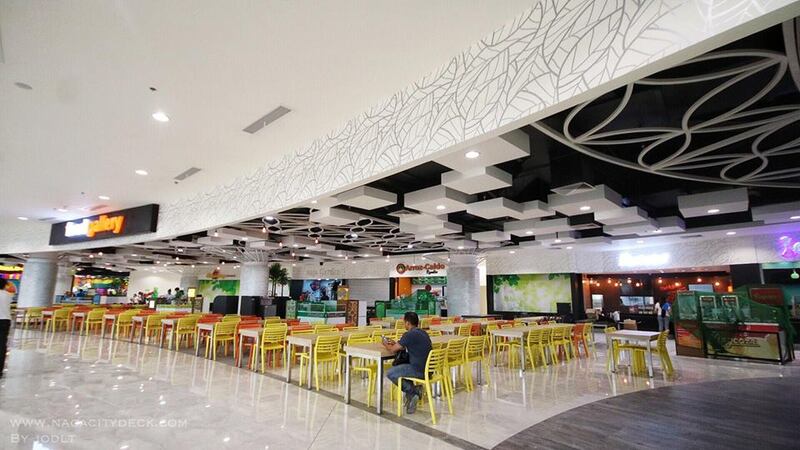 Complimenting these ceiling designs are green posts and vertical gardening interspersed throughout the Mall Interiors. 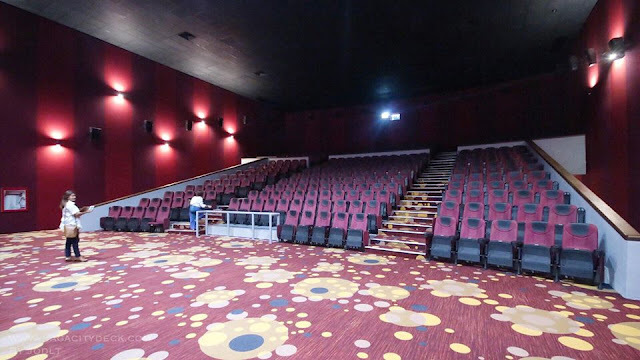 Five cinemas will be for 2D and one for 3D. Can't wait to watch at Movieworld! A spacious 2,000 plus square meter activity area located at the Mall's Atrium area is the ideal venue for shows and events. It's like a 360-degree turn where all guests from the mall can just run to the center and enjoy the show. 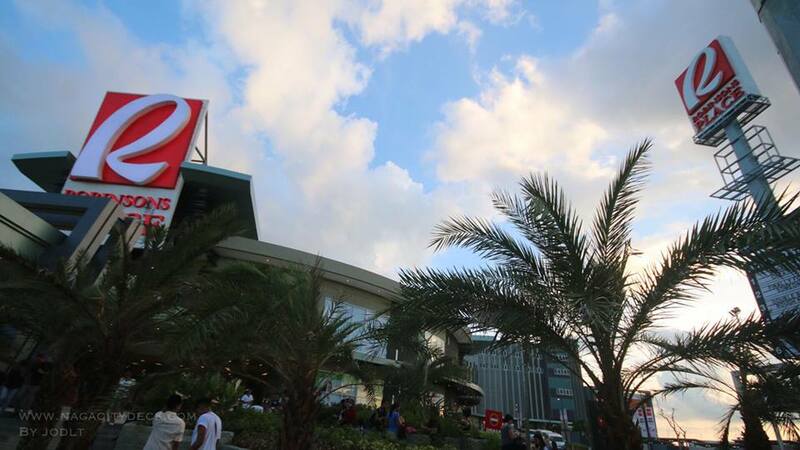 There's the Tree of Life, an imposing structure at the al fresco area. Made of fiberglass with a smooth, glossy-white finish, the 15-meter sculpture by Jefre Manuel, features the iconic gabi leaf, paying homepage to the root crop that has catapulted Bicol to the country's culinary map. Such motifs create a sense of regional pride and a homey feel for families and friends gathering inside Robinsons Place Naga, while indulging on favorite mall activities whether shopping, dining, entertainment and a lot more. 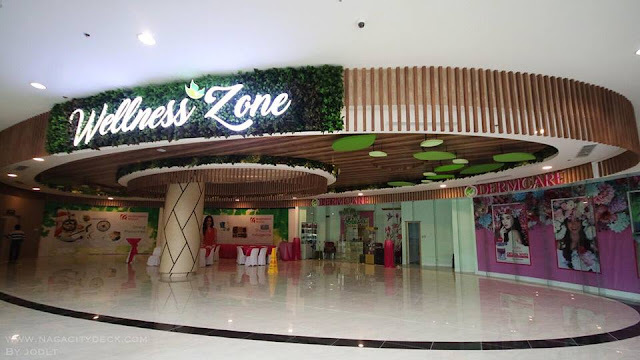 Located at the third level is the pampering area called the Wellness Zone, tenants like Dermcare, Nailandia, Skin Perfect, Evegate Spalon, Nails Glow to name a few will surely treat you like a VIP with their various services. Aside from the entertainment, business and dining feats of the mall, Robinsons definitely gives importance to the convenience of Bicolanos in terms of providing services beyond their usual role. Robinsons Malls Lingkod Pinoy Center is a public service program of Robinsons Land Corporation bringing together government agencies most relevant to the community where the mall is located. 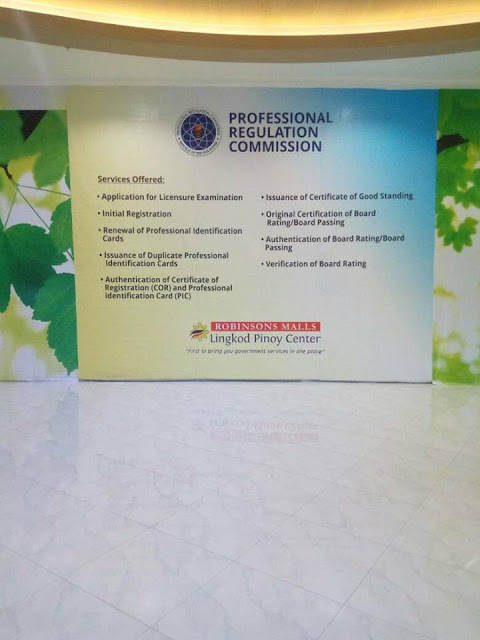 PRC, SSS, Pag-ibig, PhilHealth, PhilPost, Tesda service centers will soon be serving Bicolanos and this is indeed a plus when it comes to convenience. I'm most excited with the PRC Service Center. No need to travel to Legazpi to renew my licenses. 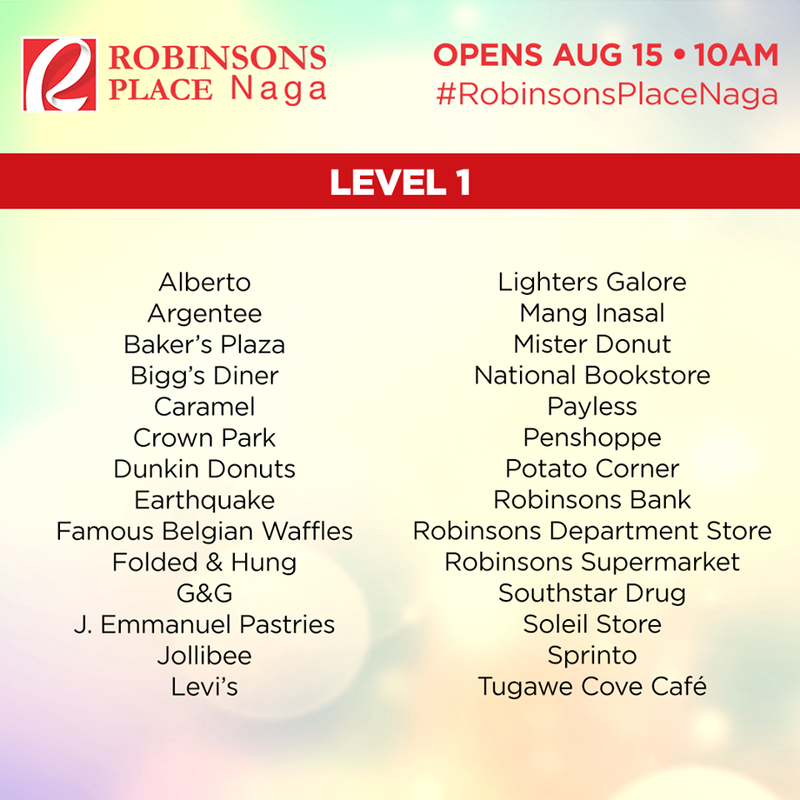 Robinsons Place Naga is Robinsons Lands' first mall in the Bicol Region and the 46th mall development of the company. 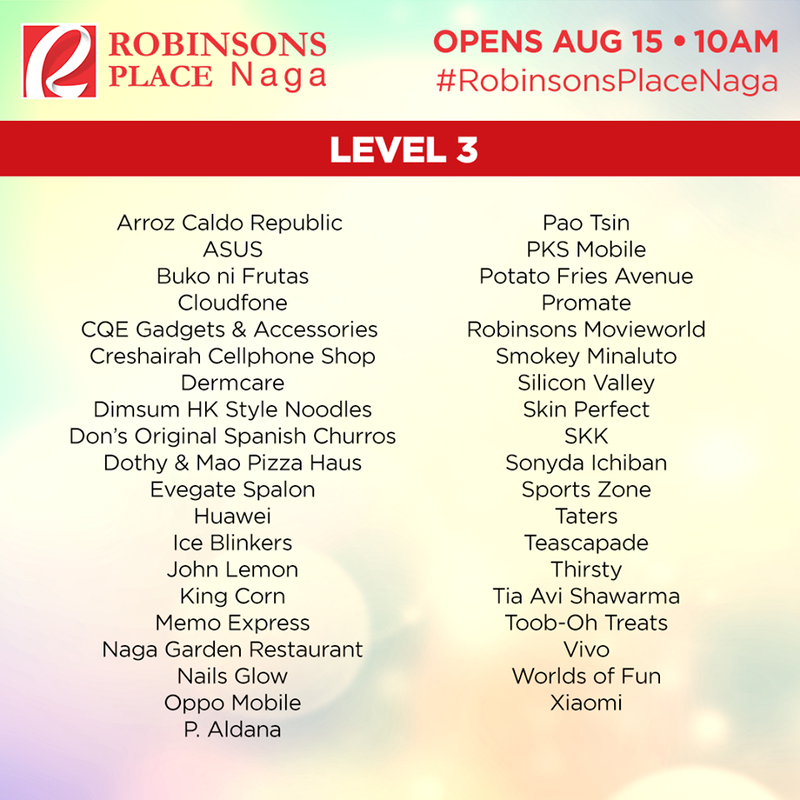 With Robinsons Place Naga's opening, the total GFA of Robinsons Malls in Luzon will grow to more than 1.4M square meters. 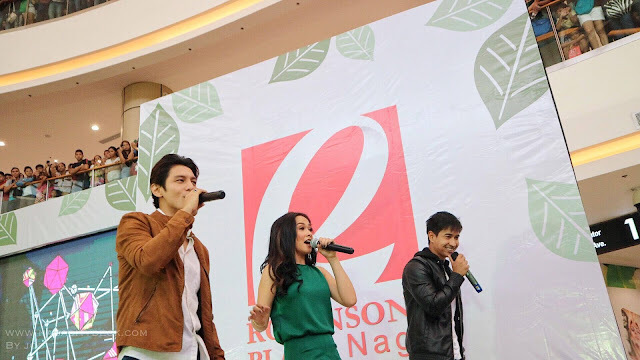 A wild afternoon for the fans of these three gorgeous casts of the hit teleserye "Wild Flower".